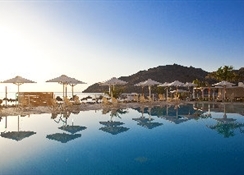 This luxurious hotel boasts an idyllic setting on a private beach in Vlycha Bay in Lindos. The hotel is located within easy access of a number of intriguing attractions in the area- including Lindos Village- and Lindos Castle. 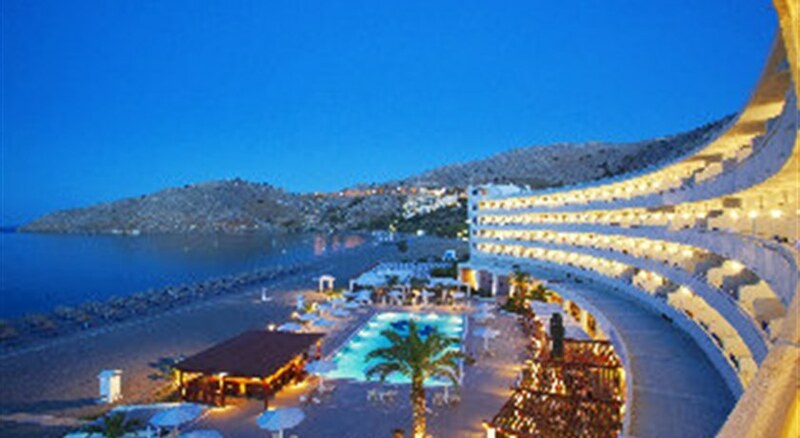 Rhodes Town is situated 32 km from the hotel- while Rhodes Diagoras International Airport is located just 45 km away. Guests will find themselves surrounded by spectacular scenery and captivating sea views. The hotel welcomes guests with sleek- contemporary style- inviting them into a world of luxury and elegance. The guest rooms are sumptuously appointed- featuring decadent style and striking designs. Guests can indulge in the ultimate invigoration at this hotel- and enjoy a selection of rejuvenating treatments in the spa.